The quire is always happy to consider bookings for suitable events and has, in the past, performed both in this country and abroad for concerts, festivals, mayoral receptions, funerals, weddings and church services. As well as the above we are also able to provide a workshop preceding your event. This enables singers and musicians (instrumentalists) from the local area to join us beforehand, thus providing an opportunity to learn some, or all, of the specially prepared and researched music. We usually provide a booklet of the music to be sung and played. The length of workshop is determined by the number of pieces to be learned for your event. or email us for further information. 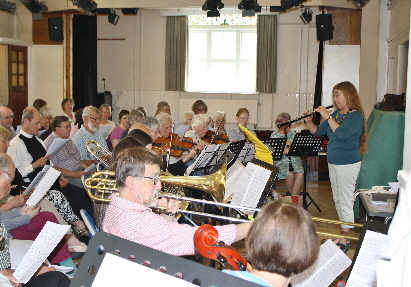 A very well attended Sussex Harmony workshop in Catsfield, East Sussex. There was a fine range of instrumentalists and many visiting singers sampling West Gallery music. Sussex Harmony in association with the West Gallery Music Association. Users of this site should read the Disclaimer. 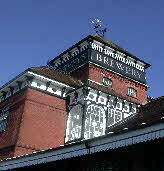 The home of Sussex Harmony. 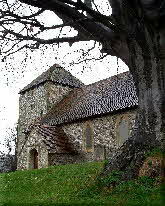 St Michael’s church in South Malling, Lewes.